Emirates Team New Zealand win Louis Vuitton America's Cup World Series in Gothenburg! Louis Vuitton America's Cup World Series Gothenburg - The wrap up - published on Aug 30, 2015: Gothenburg produced some of the toughest conditions in the series so far, with a light and shifty wind. Day 2 was challenging, tough starts but the team fought back to finish third overall at Gothenburg, and they hold second overall in the series. It’s all to play for going into the final event of the season in Bermuda, October 16-18th. Video above - They said it: Sunday’s reaction - Published on Aug 30, 2015 - The skippers speak after Emirates Team New Zealand wins the Louis Vuitton America’s Cup World Series Gothenburg. Emirates Team New Zealand soars to victory in Sweden - 35th America's Cup: "Emirates Team New Zealand put together a Super Sunday in Sweden, to vault to the top of the leaderboard and claim the Louis Vuitton America’s Cup World Series Gothenburg. It was a difficult day on the tight race course, with light and shifty conditions. But the Kiwis, led by skipper Glenn Ashby and prodigy helmsman Peter Burling showed no fear, posting a 2-1 scoreline in the two double-point races... "
Discussion about the first day of racing at the Louis Vuitton America’s Cup World Series Gothenburg. Is ORACLE TEAM USA for real? Can Land Rover BAR get back on top? And what’s wrong with Artemis Racing? Race day one of action at Louis Vuitton America's Cup World Series in Gothenburg ended with Emirates Team New Zealand in 3rd spot over all. Official Practice Day - Louis Vuitton America's Cup World Series Gothenburg - Published on Aug 28, 2015 - ORACLE TEAM USA and Land Rover BAR won the two races sailed on Friday while Artemis Racing missed out on the action following an early capsize. The race track in Gothenburg is tight, guaranteeing close action. Each race takes approximately 20 minutes. An exclusive behind the scenes insight into what it takes to mount a challenge and compete in the 35th America's Cup. Follow Artemis Racing over six episodes in 2015 as the team prepares to win the oldest and most prestigious trophy in international sport. Racing starts in Gothenburg with the practice race on August 28, ahead of two days of Louis Vuitton America’s Cup World Series racing August 29-30. Ben Ainslie gives a tour of the Land Rover BAR base - “We will win the America’s Cup!” says Ben Ainslie who takes us on a tour of the Land Rover BAR base and talks up his chances. His old team mate, ORACLE TEAM USA skipper Jimmy Spithill weighs in as well. Spirit of Yachting - Rolex Farr 40 World Championship 2014 - Published on Feb 5, 2015: The year 2014 heralded the 17th edition of the Rolex Farr 40 World Championship, a competition that has captivated the sailing community since its inception in 1998. A defining juncture for the Farr 40 racing season, the Championship offers the perfect stage for evenly-matched, 40-foot monohull racing boats, helmed by skilled and competitive owners. Fiercely contested, the event demands and rewards precise teamwork, consistency and determination. These attributes, together with the true sporting nature of the competition, align perfectly with the core values of Rolex, title sponsor of the event since 2001. The reward for victory is coveted throughout the sailing world: the Rolex Farr 40 World Championship trophy and a Rolex timepiece, true recognition for greatness on the water. Organizers announce innovations to Quantum Key West Race Week: "... With the release of the official Notice of Race, organizers with the Storm Trysail Club have proposed several new elements for Quantum Key West Race Week 2016. A harbor course area for smaller sailboats, distance racing for Performance Cruising designs and replacing PHRF with the International ORC rating system are among the creative ideas found in the new NOR. John Fisher, regatta chairman for Quantum Key West Race Week, said the changes were made in response to feedback from both the United States and international sailboat racing community. Storm Trysail Club conducted a survey of past and potential participants seeking comments on what could be done to improve the event. “We believe the sailing constituency that revolves around Key West was looking for something different,” Fisher said. “Many, many elements of the regatta are tried and true, but there are other things that needed to be tweaked. We are listening to the sailors that care about Key West Race Week and are attempting to address their desires and needs.” Cost has become a concern for some of the amateur programs that were a staple of Key West Race Week at its peak when more than 300 boats were competing on an annual basis. Participation at the annual midwinter regatta took a hit during the worldwide economic downturn as many of the mom and pop programs just could not afford to spend seven days in the Conch Republic. 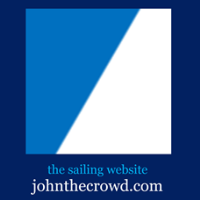 “One of the things we’ve heard repeatedly involves the expense of the regatta. Key West is a very popular tourist destination and therefore the cost of meals and lodging can be considerable,” Fisher said. To address that issue, Storm Trysail is offering the great racing experience of the event condensed into a three-day regatta format for those classes that choose to do so. Fisher said racing would be held Wednesday through Friday for those classes so participants are included in the final awards ceremony. “Housing and feeding a crew for four or five days as opposed to eight or nine reduces the expense to a level that is more palatable for a segment of boat owners,” Fisher said. “We’re hoping that holding a regatta within a regatta will bring back a segment of skippers who stopped doing Key West because of the cost.”..."
Fact Sheet on ORC/list of ORC ratings for common boat types may be found on the Yacht Scoring regatta management site: www.yachtscoring.com. Make applications for ORC Club ratings online: www.orc.org/clubapplication. United States Sailing Association | Rio Olympic Test Event (Sailing): Haeger & Provancha (USA) Come From Behind to Take 470 Gold: "US Sailing Team Sperry Women’s 470 athletes Annie Haeger (East Troy, Wisc.) and Briana Provancha (San Diego, Calif.) claimed gold at the Aquece Rio International Sailing Regatta (the second and final Olympic Test Event), coming from behind and winning the top spot during Saturday’s double-points medal race. The result stands as a significant career achievement for the American pair, and a clear indicator that should they win the US Olympic Trials, they will be firm medal contenders at the Rio 2016 Olympic Games. In the Men’s 470 class, Stuart McNay (Providence, R.I.) and David Hughes (Miami, Fla.) finished 6th in the medal race and 7th overall after battling at the top of the fleet for much of the week." Olympic Test Event: Josh Adams, Boat Park Preview, Day 3 - Published on Aug 17, 2015. United States Sailing Association | Rio Olympic Test Event (Sailing): Heartbreak for Railey In Radial, Buckingham Ends Laser Charge In 7th: "..When you to commit to sailing at the Olympic level, adversity is unavoidable as you compete against the world’s best. On Day Seven of the 2015 Rio Olympic Test Event, the US Sailing Team Sperry experienced its fair share of challenges. Americans Paige Railey (Clearwater, Fla.) and Charlie Buckingham (Newport Beach, Calif.) both entered the Women’s Laser Radial and Men’s Laser medal races with a chance to get on the podium, but finished the regatta in 4th and 7th places overall, respectively. The US national team will have further chances to medal in the Men’s and Women’s 470 classes during the final races of the event on Saturday, August 22..."
Sailing Through the Trash and Sewage of Guanabara Bay - The New Yorker: "... Danish sailor Allan Nørregaard had just edged into first place when his boat came to a dead stop; after the entire fleet passed by, Nørregaard peered over the side to discover a large plastic bag wrapped around his centerboard. “I have sailed around the world for twenty years and this is the most polluted place I’ve ever been,” Nørregaard told the AP, adding that some people went into the water and came up with red dots on their bodies. “I don’t know what’s in the water,” he said, “but it’s definitely not healthy.”..."
Extreme Sailing Series™ Act 6, Saint Petersburg presented by SAP - The sixth stop on the 2015 Extreme Sailing Series™ eight Act global tour brought together eight top international teams to race on the River Neva in Saint Petersburg, Russia. The Wave, Muscat claim fourth Act title of the season | News: "The Wave, Muscat have been crowned victors at the Extreme Sailing Series™ Act 6, Saint Petersburg presented by SAP, mastering the complex conditions of the River Neva in front of huge crowds, to win the Act with a race to spare. Their fourth Act win and third consecutive victory this season sees two-times Series winning skipper Leigh McMillan and his team extend their lead at the top of the 2015 leaderboard, with only two Acts left this year." Watch Kelvin Trautman's video of Phaedo3 taking part in the 2015 edition of the Rolex Fastnet Race. World on Water August 23, 2015 Rolex Fastnet, Illes Balears Classic, Finns in Rio, - Published on Aug 23, 2015 - In this week's WoW the Rolex Fastnet the French winh the RORC biannual classic, In Palma the has broken masts and beautiful "Vintage" yachts, the Finns are part of the Rio per-Olympic training regatta, on the last day of the Audi Hamilton Island Race Week the rains came and the winners get "dunked", Outside the wonderful "Hermitage" in St Patersburg, Russia the fast Extreme Sailing Series, a CAT fight as the first cats of the new World Match Race Tour face off and fight it out and Mike Slade owner/skipper of the British Farr 100 super-maxi Leopard 3 talks of his Rolex Fastnet Race experience. Phew, what a week in sailing and it's all here in the WoW from boatson.tv the home of live sailing. The Saint Petersburg Stadium, Russia - ExtremeSailingSeries: With its hidden currents the River Neva race track is riddled with passing and losing lanes. Mastering the conditions is is no mean feat with big wins, and even bigger loses to be had, the skippers talk us through this tight tactical Russian venue. 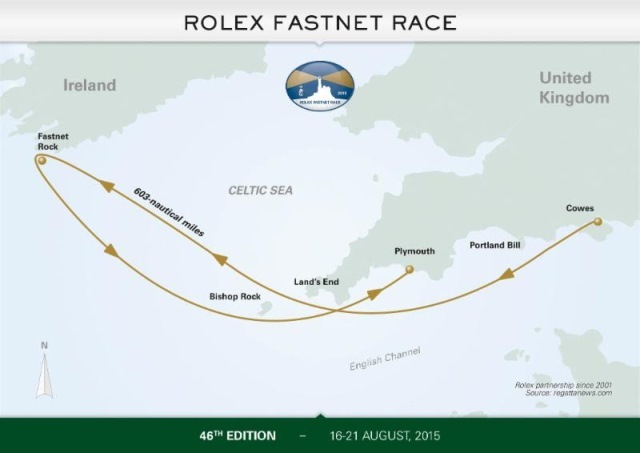 Rolex Fastnet Race 2015 – A worthy winner - 21 August - A memorable edition of the Rolex Fastnet Race concluded on 21 August. Géry Trentesaux’s JPK 10.80 Courrier du Léon from France has been confirmed as overall winner of the race on IRC handicap prevailing from a record-breaking fleet of 356 international yachts. As winner of the race Trentesaux and his crew received the Rolex Fastnet Challenge Trophy and a coveted Rolex timepiece at the final prizegiving in Plymouth. The 90th anniversary edition of this famous offshore classic will be long remembered for its tactical challenges, the diverse conditions experienced and the quality of the competing yachts and sailors. Stuart Childerley and Kelvin Rawlings on Jester win the two handed division of the Rolex Fastnet Race - Olympic dinghy sailor Stuart Childerley and long time big boat sailor Kelvin Rawlings have not only won the two-handed class in the Fastnet, but also came 4th in the overall results. The duo, new to shorthanded sailing, but many Fastnets between them are the first Brits in the Rolex Fastnet Race, that has been dominated by the French this year. The 603nm Rolex Fastnet Race is organised by the Royal Ocean Racing Club (RORC) and just 7 boats sailed in the first race in 1925. The race has been sponsored since 2001 by Rolex SA of Geneva and is legendary within the world of ocean racing. The 46th edition of the biennial race will start off the Royal Yacht Squadron line, Cowes, Isle of Wight on Sunday 16th August 2015. It is the largest offshore race in the world and attracts the most diverse fleet of yachts. The RORC works with other yacht clubs to promote their offshore races and provides marketing and organisational support. The RORC Caribbean 600, based in Antigua and the first offshore race in the Caribbean, has been an instant success and the RORC has extended its organisational expertise by creating a new Transatlantic Race from Lanzarote to Grenada, the first of which was in November 2014. The club is based in St James' Place, London, but after the recent merger with The Royal Corinthian Yacht Club Cowes, now boasts a superb clubhouse facility at the entrance to Cowes Harbour and a membership of over 4000. The RORC has also been a leader in yacht handicap systems and in co-operation with the French offshore racing club, UNCL, created IRC; the principal yacht measurement system for the rating of racing yachts. worldwide. Lucky 13th for Géry Trentesaux: Overall Winner - Rolex Fastnet Race 2015: Géry Trentesaux and his JPK 10.80 Courrier Du Leon have been confirmed by the Royal Ocean Racing Club as winner of the 2015 Rolex Fastnet Race. For this the team will receive the Fastnet Challenge Trophy at tonight’s prizegiving, an event doubling as the 90th anniversary celebrations of the RORC’s flagship offshore race. In this, the Frenchman’s 13th attempt at the Rolex Fastnet Race since his first in 1977, Trentesaux’s performance was exceptional, beating Arnaud Delamare and Eric Mordret’s second placed JPK 10.80 sistership, Dream Pearls, by 2 hours 20 minutes. And this was despite being over early at the windless start and taking 40 minutes to restart..." more results here. TV star Griff Rhys Jones skippering his classic yacht Argyll in the Rolex Fastnet Race 2015: Published on Aug 21, 2015 - Griff finished the gruelling and frustratingly calm race in the rain on Friday morning at the Plymouth Sound finish line, but enjoyed the whole experience, his first Rolex Fastnet Race. Red Bull leads first day in Saint Petersburg | News: "Russia delivered a glittering opening to the Extreme Sailing Series™ Act 6, Saint Petersburg presented by SAP, with Red Bull Sailing Team staking an early claim, winning the day against the golden backdrop of the Peter and Paul Fortress." Rolex Fastnet Race Leaderboard taking shape: News: "With the latest deluge of arrivals in the Rolex Fastnet Race, overall victory is currently looking like it might be claimed, in this 90th anniversary running of the Royal Ocean Racing Club’s flagship offshore race, by a fast boat in the 35-40ft range. Most promising at present is Gery Trentesaux’s new JPK 10.80, Courrier Du Leon. Overnight arrivals have caused the corrected times of Rambler 88 and Leopard to plummet down the IRC Overall leaderboard, leaving Dieter Schon’s Maxi 72, Momo, strongest among the big boats." Mike Slade on 100ft maxi Leopard in the Rolex Fastnet race 2015 - Published on Aug 19, 2015: Mike Slade's 100ft maxi Leopard finished the 46th Rolex Fastnet Race early Wednesday morning, after a slow but intense race. A calm and fluky set of conditions, but enjoyed by the owner Mike Slade, race record holder in 2007 and two-time line honours winner. Hannah White makes her predictions for Act 6, Saint Petersburg | News: "... One team used to the challenges of this racecourse is Gazprom Team Russia. With a third position at Act 3, Qingdao and a second at Act 5, Hamburg, I believe the local team has the potential to take the Act win on their home waters. They’re looking strong and progressively getting podium results. They secured their best position in Hamburg and they’ll have the home advantage in Russia, which I hope will take a little pressure off them. With increased confidence after two podium positions, you can see they’re finding their feet. Gazprom Team Russia have really focused on their team dynamic and stuck with the same crew formation this season. They’ve overcome initial challenges as basic as language and communication onboard, and they’re getting into their stride ..."
Peter Aschenbrenner, owner of the 63ft trimaran Paradox at the finish in Plymouth. - Paradox benefitted from the weather front that gave much relieved windless Rolex Fastnet Race fleet some breeze at last, albeit with the accompanying rain. They sped past the Lizard at 34 knots and arrived Wednesday morning in Plymouth with a good chance of winning the multihull prize on handicap. Rolex Fastnet Race 2015 - Oman Sail CEO David Graham sailed onboard the MOD70 Musandam Oman Sail for his first Rolex Fastnet race. They finished second MOD 70 in the early hours of Wednesday morning. US Sailing Team Sperry athletes Paige Railey (Clearwater, Fla.) took third in the only Laser Radial race, and maintained 2nd place overall. Rolex Fastnet Race 2015 - First monohulls reach Fastnet rock - 18 August: Day 3 of the 2015 Rolex Fastnet Race. 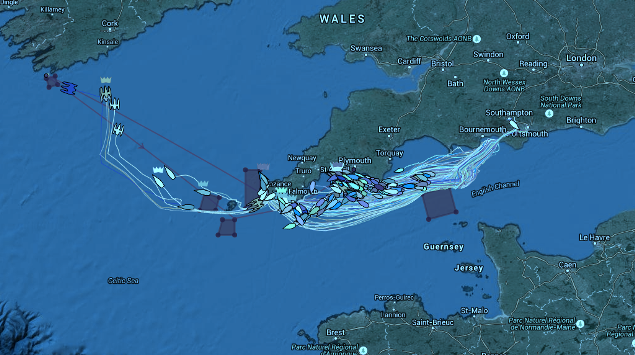 The leading multihulls and monohulls are enjoying close, tactical competition as they make their return journey across the Celtic Sea and towards the finish line in Plymouth. The 46th edition of the race has so far been characterised by light conditions creating a strategic, tactically engaging race. The 90th anniversary edition of this offshore classic welcomed a record number of 356 race starters. Despite the trying conditions only four boats have currently retired from the race, testament to the perseverance of the competing crews and their desire to complete the course. Aquece Rio International Sailing Regatta 15-22 Aug 2015 Marina da Gloria: The Aquece Rio - International Sailing Regatta 2015 is the second of two Rio 2016 Olympic Test Events with the first being held in 2014. From 13-22 August 2015 with racing taking place inside and outside of Guanabara Bay, each ISAF Member National Authority is entitled to enter one boat in each Olympic event. Sailors will compete in an opening series before Medal Races on 20, 21 and 22 August bring the regatta to a close. The Rio 2016 Olympic Sailing Competition will take place at the Marina da Glória, Rio de Janeiro, Brazil and will feature 380 athletes competing across ten events. Racing is scheduled to take place from 8-18 August 2016 and the competition format for all events is fleet racing. 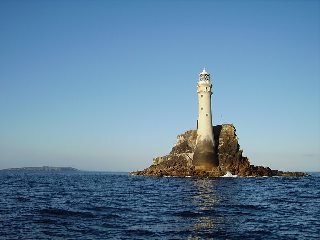 Rolex Fastnet Race 2015, Approaching Fastnet Rock – 17 August - published on Aug 17, 2015: Day 2 of the 2015 Rolex Fastnet Race. The leading yachts have passed the halfway point of the 603-nm offshore race with the front-running multihulls rounding the race’s emblematic turning point – the Fastnet rock. The fastest monohulls are in close pursuit, while the majority of the fleet is engaged in a real tactical contest as it grinds its way slowly past the headlands of southern England. The 46th edition of the Rolex Fastnet Race is well underway and living up to its reputation as a true test of sailing prowess. Mastering the Light: "...“Everybody can sail in a good wind but you have to strive very hard to make sure you perform well in the light. If the boat is going just a fraction of a knot more than a competitor you get ahead and when the breeze does kick in, that lead multiplies. In the light we can sail 5 or 10% better than the opposition and that is difficult to achieve in a true wind..."
Languishing off the Lizard: "Progress overnight in the Rolex Fastnet Race has been better than expected with the majority of the fleet having been lured out into the middle of the Channel following the temptation of stronger winds. At 0800 this morning the leading multihulls had passed Land’s End and were tackling the south side of the Traffic Separation Scheme east of the Scillies. Inevitably the larger 40m Spindrift 2 had edged into the lead overnight, but was only seven miles ahead of American Lloyd Thornburg’s MOD70 Phaedo³, tightly bunched in with Musandam-Oman Sail and the Multi 80, Prince de Bretagne. At the time Spindrift 2 was sailing into pressure, making 14 knots while the boats behind were managing only 8-10. At the time Seven Stones light vessel off Land’s End was recording 8-9 knots of wind from the ESE..."
Amid Thaw, First Authorized U.S. Yacht Sails to Cuba on Hopes of Travel Surge - WSJ: "... Tourists from other countries, including those arriving by boat, have always been free to visit Cuba. But any commercial vessel visiting the island without a U.S. permit is barred from entering an American port for six months afterward. Some U.S. boaters have long popped into Cuba, either under permit by bringing humanitarian supplies or by covering their tracks by visiting other countries on the way home. Those without U.S.-issued permits risk fines, confiscation of a boat, even jail time. Still, several boats docked near the Still Water at the Marina Hemingway were flying the Stars and Stripes..."
Rolex Fastnet Race 2015: "Giant crowds packed the Cowes and Western Solent shoreline this afternoon as a record-sized fleet of 356 set off on the 90th anniversary Rolex Fastnet Race, organised by the Royal Ocean Racing Club. With a complete lack of wind in the central Solent, the boats ghosted across the start line starting their 600 miles voyage to the Fastnet Rock and on to Plymouth with a whimper...."
"Fastnet Carraig Aonair" by Richard Webb. The Royal Ocean Racing Club has made public the latest entry list for its biennial 600 mile race from Cowes to Plymouth, via the Fastnet Rock, starting at noon on Sunday 16th August. The entry list makes for impressive reading in terms of scale, diversity and quality of the fleet taking part, confirming the Rolex Fastnet Race's position as the world's biggest and most popular offshore race by far. There are 387 boats entered with a further 74 on the waiting list. If all the boats currently entered were put bow to stern, the line from Cowes would stretch two thirds of the way across the Solent to the mainland (1635.75m). The bulk of the fleet - 340 entries to be precise - are competing under IRC for the race's overall prize, the Fastnet Challenge Cup. With the two American maxis: Jim and Kristy Hinze Clark's 100ft Comanche and George David's Rambler 88, due to be the pace setters on the water, the IRC fleet will, in due course, be divided into classes and class sub-divisions. Rolex Fastnet Race Homepage: "While it may not be the event's ultimate prize, the monohull battle for line honours in the Rolex Fastnet Race is always hotly contested, coming with considerable bragging rights. This year's race from Cowes to Plymouth via the Fastnet Rock, coinciding with the 90th anniversary of the event's organiser, the Royal Ocean Racing Club, will see the world's two very newest maxis jockeying for this prize. Both belong to American captains of industry and both were launched last autumn Favourite is the 100ft long Comanche owned by Jim and Kristy Hinze Clark. " Cowes Week regatta: Sailing starts despite low winds - BBC News (8 Aug 2015): "Boats sail from all over the world for Cowes Week and as many as 100,000 people are expected to visit the island for the event, which started in 1826. Classes including Etchells, SB20s, and J/70s started shortly after 13:00 BST but others were postponed. Low wind delayed the start, but stronger wind is expected later..."
The US Junior Chubb Champs for the Sears, Bemis, and Smythe Trophies kicked off today at Wianno Yacht Club in Osterville, MA with a clinic from the nations top coaches, followed by racing in the Byte, 420 and Wianno Senior classes. Katy Nastro takes you off the traditional sailing path from Martha's Vineyard in this week's episode of "The Beat". Katy takes a lesson in Kiteboarding with Rob Douglas, one of the fastest sailors in the world. And it's all about fun and games, as Katy gets wet and wild with the kids from the Vineyard Haven Yacht Club "Reachers" summer program that sets the standard in creative youth sailing. €25m Picasso owned by banking tycoon seized from yacht off Corsica 'during attempt to illegally export it' | South China Morning Post: "... Botín, who is said to be shy and discreet, acquired the Adix, a 14-crew, 64.85m-long schooner with a 1,720 sq m sail area and a top speed of 12 knots in 1989, buying it from the Australian beer tycoon Alan Bond, who named it XXXX, after his brewery. The steel-hulled vessel, modelled on the 1903 schooner Atlantic, was built in the mid-80s in Mallorca and rigged in the UK. Bonita renamed the boat Adix, his nickname for his wife Adela, and fitted it out with a 20,000-book library. In 2011, it was put up for sale for $31.5m . Botín resigned in 2004 as vice president of Santander bank, founded by his grandfather, saying he wanted to “live life”. The French authorities say they are waiting for a formal request from Spain for the painting to be returned."